Huntsville, AL – Astronomers have discovered a special kind of neutron star for the first time outside of the Milky Way galaxy, using data from NASA’s Chandra X-ray Observatory and the European Southern Observatory’s Very Large Telescope (VLT) in Chile. 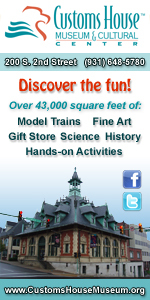 Clarksville, TN – The night sky is darker, the stars brighter, in Mount Pleasant, Tennessee. The rural town sits about an hour south of Nashville, where the heavens are dimmed by excessive light pollution, and as a girl, Deborah Gulledge became curious about the brilliant stars above her home. “I was always interested in astronomy,” she said recently. Clarksville, TN – In 1978, the Spanish crime novelist José García Martínez-Calín created Gay Flower, a tough private detective reminiscent of Mikey Spillane’s Mike Hammer and Raymond Chandler’s Philip Marlow. Flower’s adventures through the hardboiled underworld of 1940s Los Angeles helped revive crime fiction in Spain and Latin America, but Martínez-Calín is rarely mentioned in academic journals or invited to the genre’s many celebrated literary festivals, like Spain’s popular Semana Negra (Black Week). 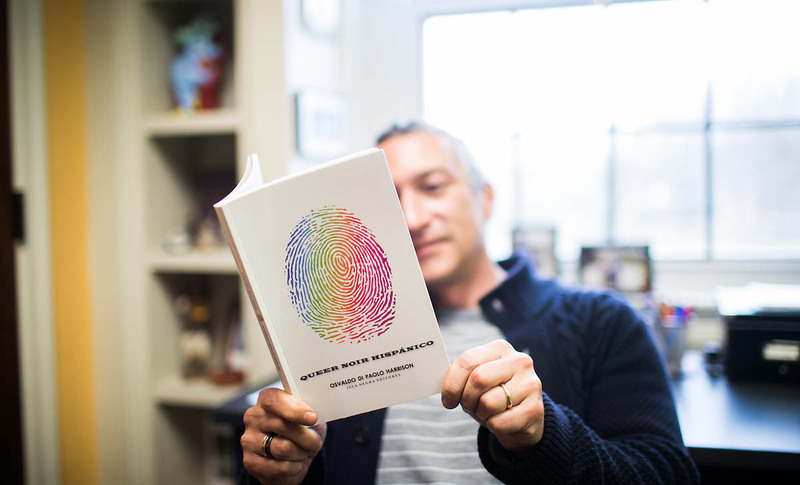 APSU professor Dr. Osvaldo Di Paolo Harrison with his recently published book “Queer Noir Hispanico”. Dallas, TX – A heart failure treatment using umbilical cord-derived stem cells may lead to notable improvements in heart muscle function and quality of life, according to a new study published in Circulation Research, an American Heart Association journal. 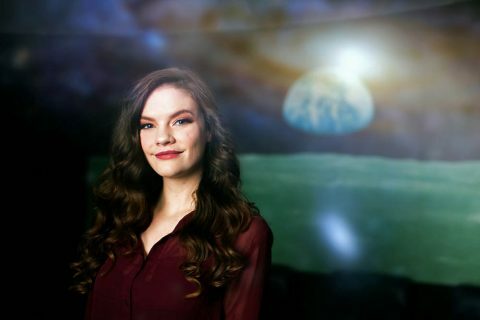 Clarksville, TN – As part of the ongoing PeayClipse lecture series, Austin Peay State University faculty member Dr. J. Allyn Smith will present a talk titled, “The Secret Lives of Astronomers” at 7:00pm on July 22nd, 2017 during the City of Clarksville’s Movies in the Park Series, at McGregor Park. Moffett Field, CA – Scientists using NASA’s Kepler space telescope identified a regular pattern in the orbits of the planets in the TRAPPIST-1 system that confirmed suspected details about the orbit of its outermost and least understood planet, TRAPPIST-1h. 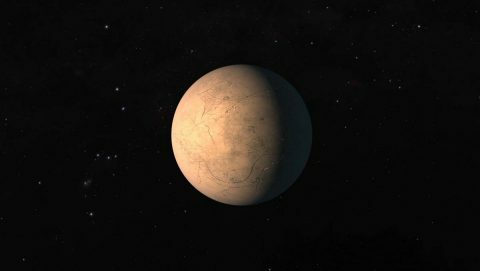 TRAPPIST-1 is only eight percent the mass of our sun, making it a cooler and less luminous star. It’s home to seven Earth-size planets, three of which orbit in their star’s habitable zone — the range of distances from a star where liquid water could pool on the surface of a rocky planet. The system is located about 40 light-years away in the constellation of Aquarius. 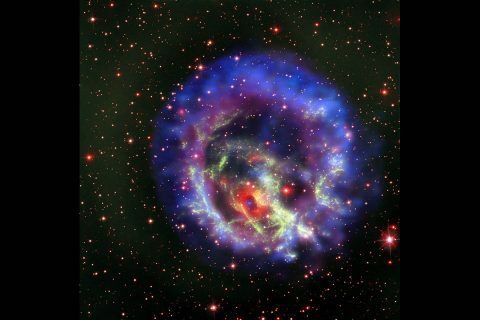 The star is estimated to be between 3 billion and 8 billion years old. 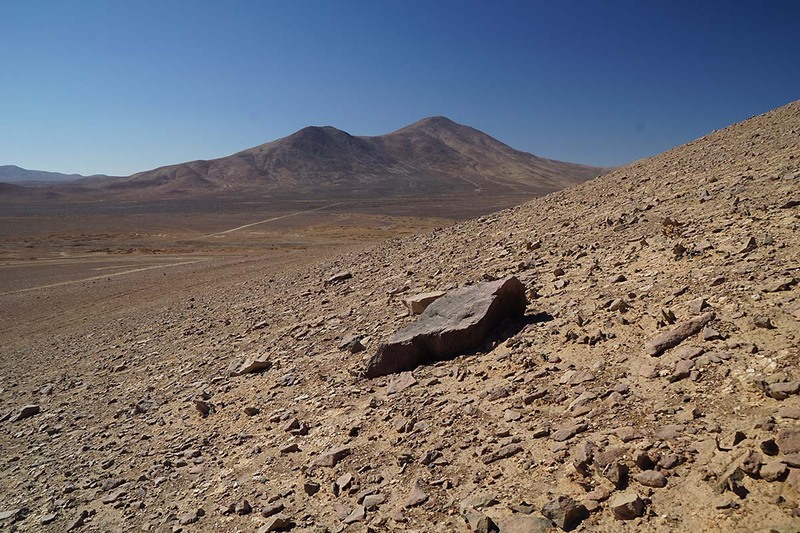 Pasadena, CA – Few places are as hostile to life as Chile’s Atacama Desert. 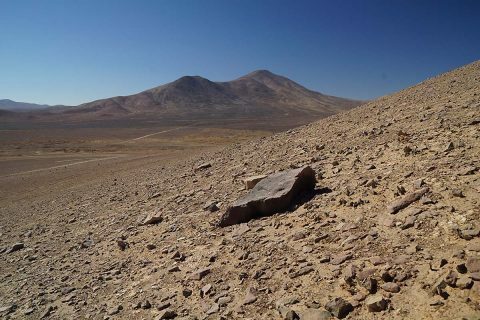 It’s the driest non-polar desert on Earth, and only the hardiest microbes survive there. Its rocky landscape has lain undisturbed for eons, exposed to extreme temperatures and radiation from the sun. If you can find life here, you might be able to find it in an even harsher environment — like the surface of Mars. That’s why a team of researchers from NASA and several universities visited the Atacama in February. They spent 10 days testing devices that could one day be used to search for signs of life on other worlds. 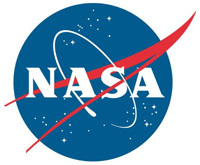 That group included a team from NASA’s Jet Propulsion Laboratory in Pasadena, California, working on a portable chemistry lab called the Chemical Laptop. Pasadena, CA – NASA’s Spitzer Space Telescope has revealed the first known system of seven Earth-size planets around a single star. Three of these planets are firmly located in the habitable zone, the area around the parent star where a rocky planet is most likely to have liquid water. The discovery sets a new record for greatest number of habitable-zone planets found around a single star outside our solar system. 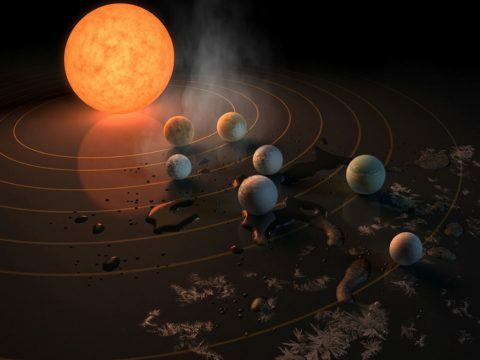 All of these seven planets could have liquid water — key to life as we know it — under the right atmospheric conditions, but the chances are highest with the three in the habitable zone. 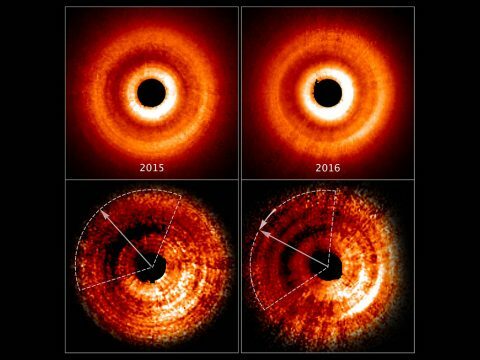 Washington, D.C. – Searching for planets around other stars is a tricky business. They’re so small and faint that it’s hard to spot them. But a possible planet in a nearby stellar system may be betraying its presence in a unique way: by a shadow that is sweeping across the face of a vast pancake-shaped gas-and-dust disk surrounding a young star. 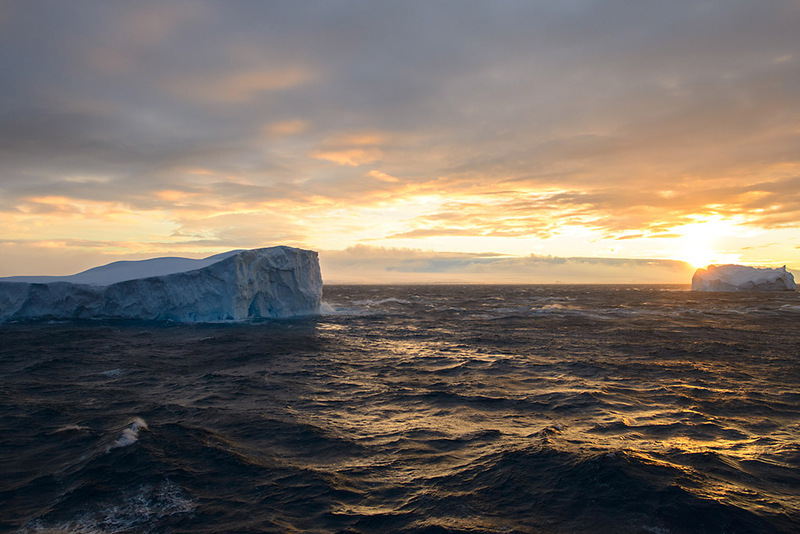 Pasadena, CA – A team of scientists has launched a series of research flights over the remote seas surrounding Antarctica in an effort to better understand how much carbon dioxide the icy waters are able to lock away. Called ORCAS, the field campaign will provide a rare look at how oxygen and carbon dioxide are exchanged between the air and the Southern Ocean. The campaign is led by the National Center for Atmospheric Research (NCAR). Michelle Gierach of NASA’s Jet Propulsion Laboratory, Pasadena, California, is a principal investigator, along with other scientists from a range of universities and research institutions.